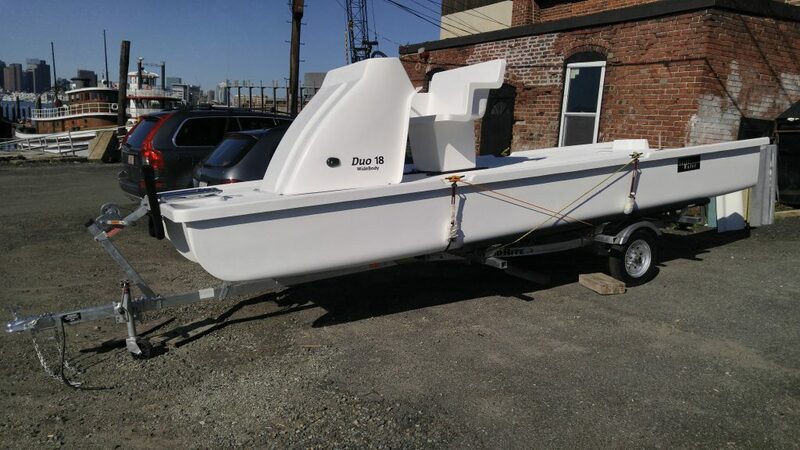 The Duo 18 replaced our popular Solo 18 as a boat designed to regularly carry a driver and passenger and still fit in the same slip at the dock. To do this we added a third hull. We have made many other improvements as well; There are two cup holders. We re-shaped the bows to reduce accumulation of debris. We added a boarding ladder and bow eye. We have a grip rail that runs the perimeter of the deck to help in a rescue situation and make it easier to move the boat on land when many hands are available. Each hull has two bulkheads that create three independent compartments that can be accessed through inspection ports. The three hulls offer a total displacement over 3000 lbs. We have completely filled any two compartments with water the boat remains upright with the engine high and dry. Any water that comes on deck quickly drains away. Positioning the motor behind the third hull has also greatly enhanced maneuverability. 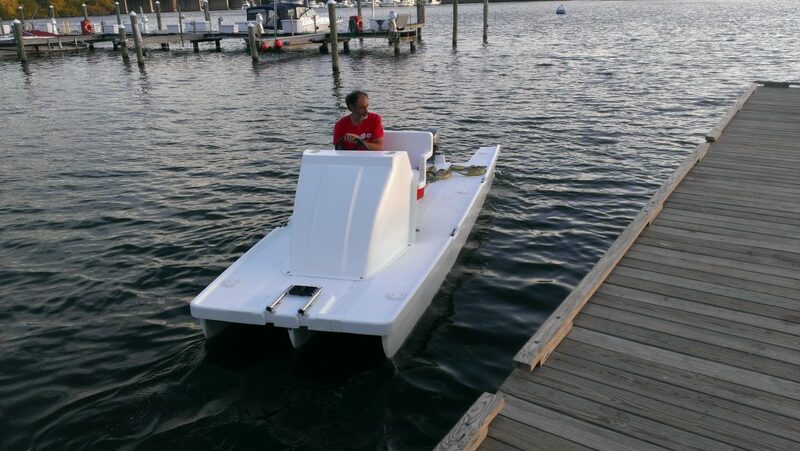 In response to customer request for a boat that was more stable to walk about we introduced the WideBody. It has a six foot beam versus the original five. The WideBody also offer a conduit for routing control cables below the deck for a more tidy appearance. 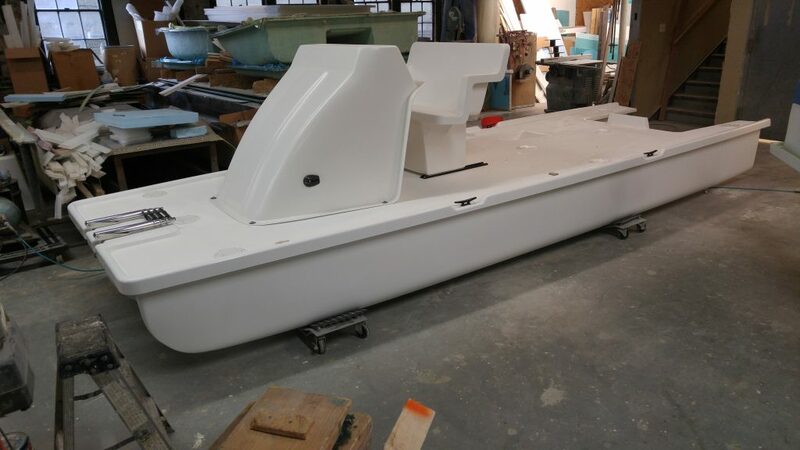 While the WideBody is a much more popular choice with customers, we will continue to offer the original Duo for those customers who need a boat that docks in a smaller footprint. The Duo 18 is our most affordable launch. Call or email for the latest pricing.